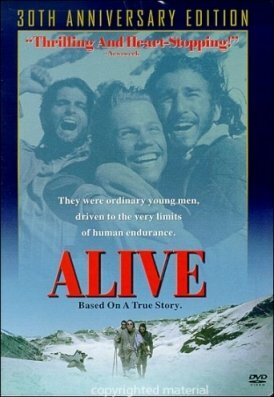 Plot Summary: 'Alive' is the true story of the Uruguayan rugby team who's plane crash landed in the Andes, forcing some of the survivors to attempt a treacherous hike out of the mountains in search of help. Comments: A truly amazing story that features excellent and believable dialogue, and well crafted, watchable characters. A top effort. Special Effects: The special effects used for the initial crash are some of the most chillingly convincing aircraft crash sequences ever filmed. It was all done with scale models and green screen technology and the final result is fantastic. Worth seeing, if only for that scene!